The EC had said it would conduct random vote counts on EVMs and VVPAT slips in one polling station in each of the 182 Assembly constituencies. 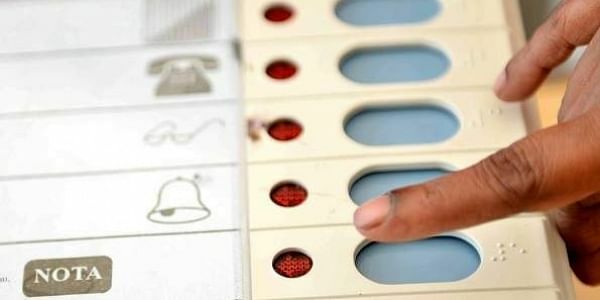 NEW DELHI: There was a "100 per cent match" in the random vote count on EVMs and paper trail slips carried out by the Election Commission in 182 Gujarat polling stations today, a senior official said. "There was a 100 per cent match in the results of the EVM and the slips produced by the paper trail machines," the official of the election machinery said. The polling stations were decided through a draw of lots in which the candidates or their agents were also present. The EC had decided to match the tally in select polling stations amid allegations that the EVMs were compromised to help the BJP. On December 15, the Supreme Court had refused to entertain a plea of the Gujarat Congress seeking counting of at least 20 per cent of the paper trail slips manually along with votes cast in the EVMs in each constituency of the state. It had said that the court cannot interfere unless the Election Commission of India's decision to restrict the EVM- VVPAT paper trail to one booth per constituency is proved "arbitrary", "illegal" or "malafide". PTI NAB ASK ASK .